Kayla Daly works with one of her many young clients at the Worcester Center for Expressive Therapies. The emerging studies supporting the transformative capabilities music has on human cognition are the basis for the Worcester Center for Expressive Therapies’ distinctive, thoroughly trained approach. For the many clients the center takes, this creative wonderland is a space for community and healing. The center “is a small, functioning family unit,” says Kayla Daly, owner and director of the cozy, multi-sensory therapy space in the 255 Park Ave. office complex. 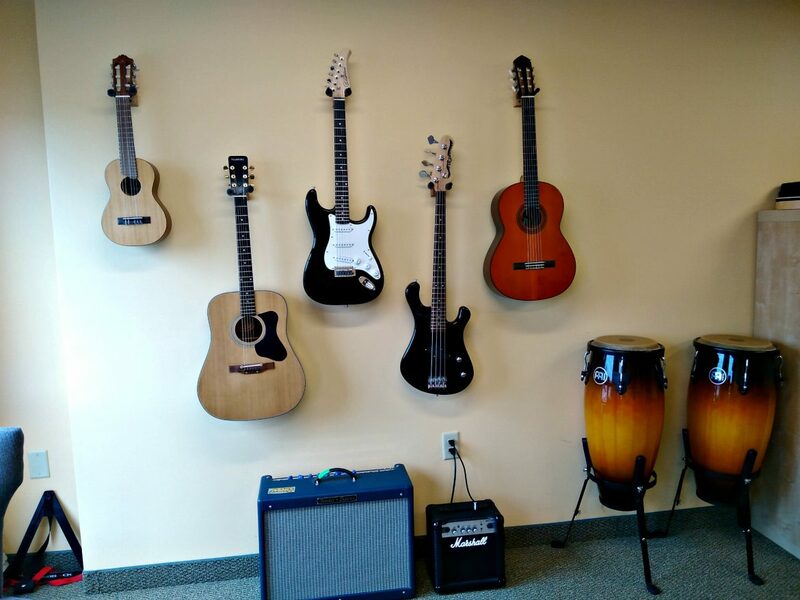 Since the center opened in 2013, it has incorporated a dynamic duo of board-certified clinical musicianship and licensed counseling to provide a multi-disciplinary therapy approach from a staff of highly trained clinicians. The four session rooms and sprawling studio room are filled with instruments, drawing desks, toys and more to create an atmosphere that’s immediately comforting. The center functions as a family, Daly said, to provide “multi-sensory” clinical treatment with diversely trained counselors. It works with a mindset that uniquely approaches the challenge of incorporating counseling and music therapy. Each clinician at the center is well-equipped to rise to the challenge, because extensive certification and training in multiple fields are required. Daly recalls instances of children between 3 and 6 years old who gained the ability to speak for the first time through the multi-sensory approach of the center’s music therapy. Older patients who had suffered from a stroke on one side of their brain had lost the ability to speak, but would still be able to sing. Patients who have been unable to walk have found their stride with the assistance of the center’s music therapy. Actively listening to music changes our brains, down to how we think, according to Daly. “Your neurons are literally firing in a more organized way when you’re listening to music, when you’re engaged in music.” she said. Daly also spoke of how subjective music is to each person. “Everybody meets with music in different ways,” she said. Because of this, the center’s musical interventions are tailored to meet each of the needs of an individual patient. It’s important that each client receives personalized care from a plan catered to their needs. Finding out what music a patient likes and dislikes, as well as understanding their strengths and weaknesses, is crucial to create the ideal multi-sensory approach. “When you put everything together, it’s the optimal learning environment.” Daly said. 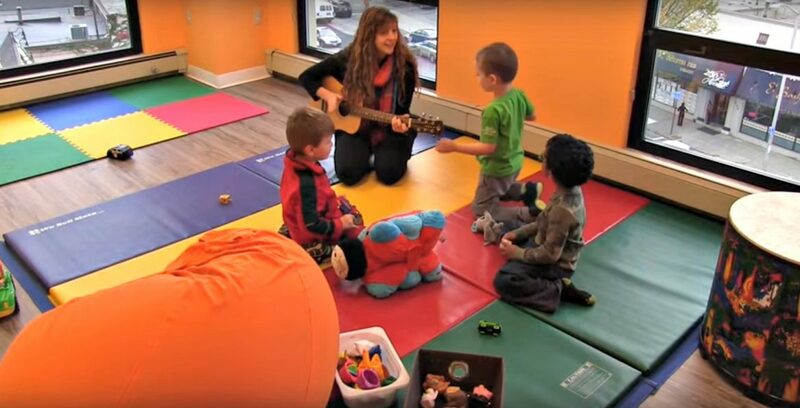 “I think that because the music therapy meets the client where they’re at, and doesn’t ask them to be anyone other than themselves, that the programs are as successful as they are.” she said. WCET has been open since 2013. 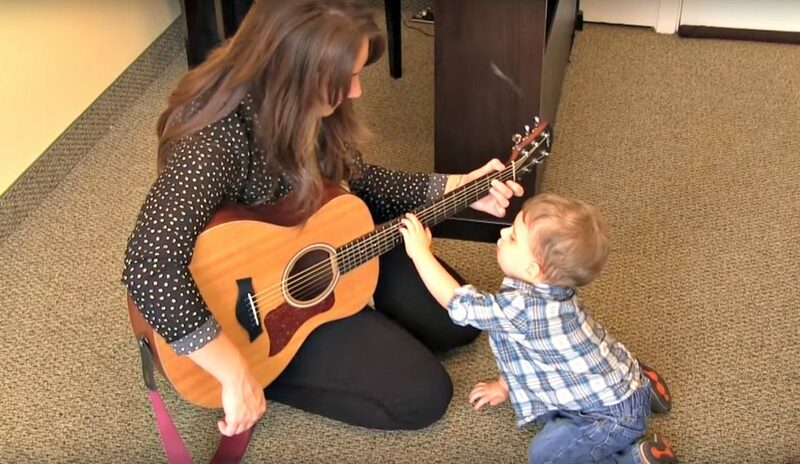 Jenna Greczek, a clinician at the center, holds bachelor’s and master’s degrees in Music Therapy, and a bachelor’s degree in Vocal Performance. She is a board-certified Music Therapist and Licensed Creative Arts Therapist. Her broad skills translate into jam-packed schedules — a day can include therapy sessions in the UMass Memorial NICU Center, community group therapy sessions, work with special education students at Charlton Elementary School and sessions at the center. Trained for six years in psychology, Greczek specializes in therapy with teens and adults fighting anxiety and depression. She said the keys to success lie within the therapeutic relationships she builds with her clients. It takes time, she said, to build a level of trust with clients, considering the different “modalities,” or therapeutic mediums, at her disposal. Greczek intersects music therapy and counseling with a specific purpose. “My goal isn’t musical, it’s to reduce the symptoms” of clients. “The therapeutic relationship and musical relationship are the two biggest factors to [our] success,” Daly said. 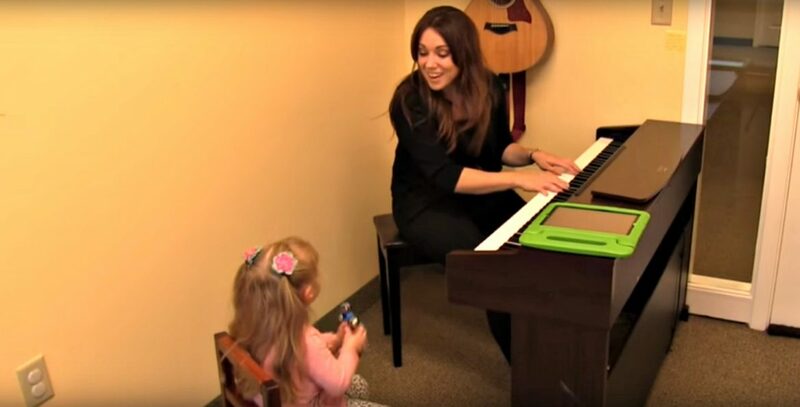 Having trained under a Nordoff-Robbins music therapist, Daly’s goal for the center is to create music-centered treatment that puts the client “authentically present” in the music-making process, for the specific benefit of the client’s mental health. Daly’s ownership of the clinic stems from a lifelong love and appreciation of music. “To me, music is probably the most vital aspect of my life, specifically because it parallels the human experience. It’s temporal. It’s there and it’s gone like a human life. After opening, the center hired clinicians from other backgrounds to bolster the practice’s range. Art Therapy, Speech and Language Pathology, Counseling, and Feeding Therapy are also incorporated into individualized and comprehensive therapy approaches, in addition to music therapy. Feeding therapy is unique treatment the center offers for infants having difficulty feeding. According to a study from the National Institutes of Health (found here), infantile feeding problems happen between 20 percent and 50 percent of the time, and between 70 percent and 89 percent of the time in infants with developmental disabilities. It’s a lot more common than we think, and the stigma associated with feeding makes it difficult to acknowledge or treat like a common issue. Because of this, the Worcester Center for Expressive Therapies has speech and language pathologists trained under a plethora of feeding certifications, including SOS [Sequential Oral Sensory] and the AEIOU [Activities, Environments, Interactions, Objects and Users] protocols. The center has been working with UMass Medical School to provide therapy to infants in the Neonatal Intensive Care Unit who struggle from a lack of interaction and acute susceptibility to illness. This collaboration creates music-therapy sessions in the hospital, in a safe place for the post-NICU infants who are still susceptible to sickness. The infants engage in music therapy in a sterilized environment, and each group of parents or guardians gets a set of sanitized instruments. The infants are encouraged to move, speak and make noises through the center’s specialized multi-sensory approach within 30- to 45-minute sessions. Many different instruments are available for clients to try. In addition to the developmental power behind the therapy, the bonds of each family can become stronger. Having the space and ability to have parents and NICU infants interact with each other has a strong positive effect on the process. When the center was still in its first year, Daly said she received a lot of calls from people looking for art therapy. Daly’s undergraduate degree from Lesley University is in Art Therapy, and she went to school with many current art therapists. The transition was natural. Daly said adding art therapy helped increase the center’s ability to function. “At the center, we like to have an integrated model,” she said. Within multiple groups of therapies, there are different “modalities,” or clinical strategies, that create connections among several different parts of the brain. “One kind of therapy can serve as a primer to another,” she added. Compared to music therapy, art therapy is a little more permanent. “Music is in the air and gone afterwards, but art stays with you,” Daly said. With work in both art and music therapy, the center boasts a truly thorough approach to therapy. “I think that because music and art therapy meet the client where they’re at, and don’t ask them to be anyone other than themselves, that the programs are as successful as they are,” she said. The center also has dipped its toes into Expressive Dance and Movement Therapy. Daley has an adaptive-yoga practitioner on staff, but is also looking to hire an experienced and certified dance and movement therapist. Daly recalled facilitating and participating in an expressive movement therapy that stuck with her. Shortly after last summer’s terror attacks in Nice, France, a practitioner Daly was working with brought a massive white silk cloth for her approximately 50 students. She encouraged the students to be present, and take a moment of silence to reflect what was going on in the world. She asked everyone to step away from desensitization, and allow themselves to experience the heavy feelings in a safe, controlled environment through the massive piece of silk in the room. “Just watching as a therapist and participant, it was unbelievable,” Daly said. She said she hopes to incorporate more Expressive Dance and Movement Therapy into what the center can offer, noting that “the idea of expressing through movement is so powerful.” Additionally, Daly hopes to expand the integrated model of the center to combine dance, art and music therapy with conventional therapy methods: Occupational therapy, physical therapy, and speech and language pathology all have room for this incorporation. “We would really like to have [these groups] working together, because the integrated therapy models have shown to be the most effective,” she said. Continuing research, improving existing methods and mentoring interns would be a difficult task, but the Worcester Center for Expressive Therapies has proved capable of such missions. “It keeps you on your toes, in a good way,” Greczek said. This is brilliant….I’m so happy these gifted therapists have brought this to Worcester.